How do we talk about stewardship in times of employment insecurity, financial instability, and economic turmoil? Should we just hang our heads, talk about other things, and hope that this too shall pass? Or do we have a unique responsibility to bring the resources of faith to bear on the times in which we live? Now, more than ever, we are called to respond pastorally, sensitively, and practically to the spiritual crisis that often accompanies an economic crisis. 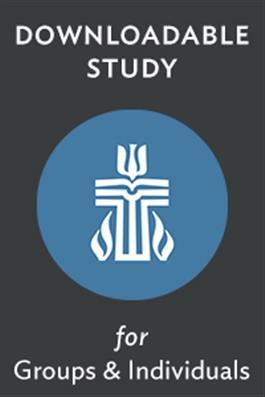 In this two-session study we'll consider the biblical roots of church stewardship and its purpose in today's church. We'll also consider ways to redefine stewardship as an expression of love rather than a burden we must bear. Stewardship is not fundamentally about raising the church's budget, purchasing mission, acquiring needed funding to renovate the building and pay the staff, volunteering our time to the work of the church, or even using our talents or serving in the community. Yes, these practical aspects of stewardship do exist. But stewardship is so much more than these things, and, as this study shows, stewardship creates opportunities for the entire congregation.